Because that’s where a LOT of high-handicappers need to start. then on the course. Stick with it, even if it seems strange. “Greats” of the past…who knows. This one is from Bobby Schaeffer on how to create more motion in your swing to generate more power and greater distance off the tee. need to stay soft in your arms and shoulders to allow this chain reaction of power to flow. So, let more motion occur, just let it happen-you’ll love the results. Check out this video clip of Bobby and learn to ‘Rock & Drop’ for more distance. 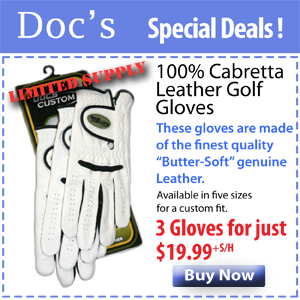 Thanks – for better golf! Doc here, I’ve got yet another cool video tip for you. This one is from Gregg McHatton, on how to tap into that “advanced power” already hiding in your swing. Gregg shows you how to get your body to do the work and simply allow your wrists to remain soft during your golf swing. If your wrists try to do the work, well you’re pretty much “up-a-creek” if you’re looking for power – because when your wrists do the work your body or your “swing engine” will simply shut off… So, let your arms hang from your shoulders and allow your wrists to remain soft and remember… The wrists don’t provide speed, they allow speed. 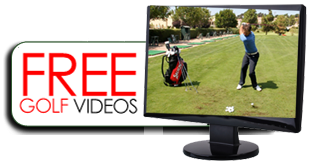 For more great golf instruction from Gregg McHatton check out his Perfect Results Training Package. whispers to unload with everything you have. and how to maintain that stored power and deliver it to the golf ball. and end up slapping at it…weak shot -not good. that spray the course like buck shot. Okay… so here’s the big tip of the day. shoulder, your arms and wrists loose and limber. No tension. fast. How’s that for irony. Ready for something really easy to gain more distance off the tee? The best way to stay loose is to create a “Swing-Trigger” for yourself.